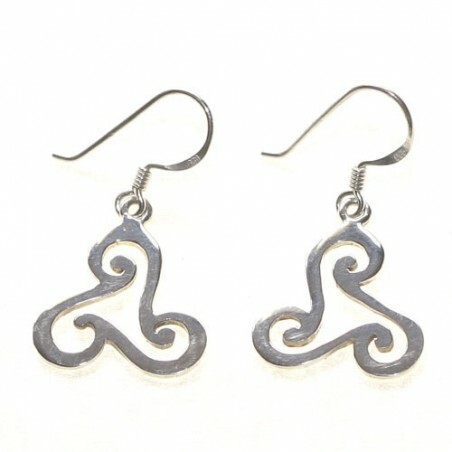 925 sterling silver Trisquel earrings with hook system. The Triskel is one of the most renowned Celtic symbols from Galicia. It represents the three most influential elements of the Celtic cosmos: earth, water and air.